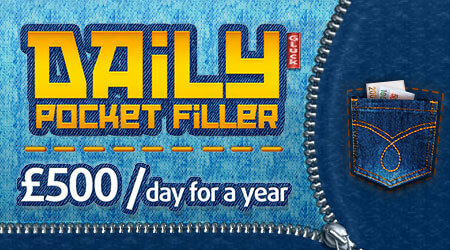 Get your wallet poppin by winnin €500 every day for a year with Daily Pocket Filler! Match three symbols and you can land a prize worth €182,500! Play now for just €2.